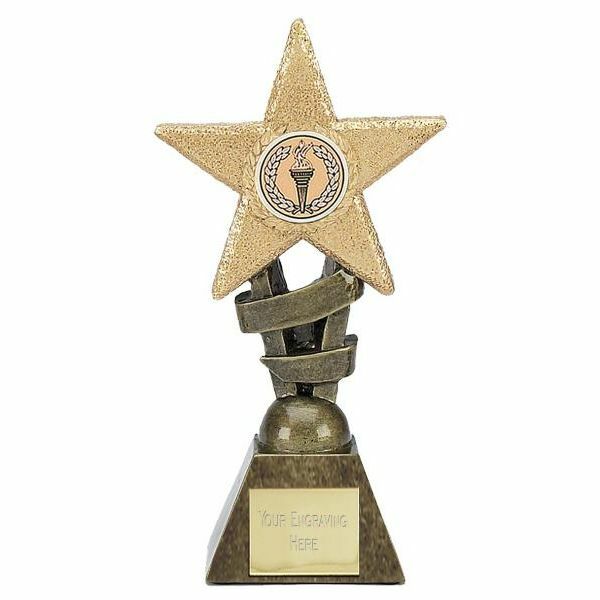 This is an engraved Glitter Star Award with a gold effect base and plate for engraving. The award is 14cm high. Up to 50 letters engraving is included in the price of the Glitter Star award, and additional letters are charged at 15p/letter. The engraved Glitter Star Award is postage band B.